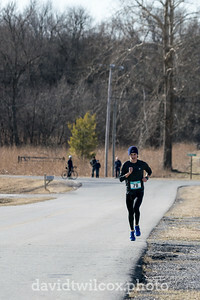 The Run With the Wind 25K, from Sarcoxie, Missouri, to Carthage, Missouri (or reverse, depending on wind direction the day of the race). 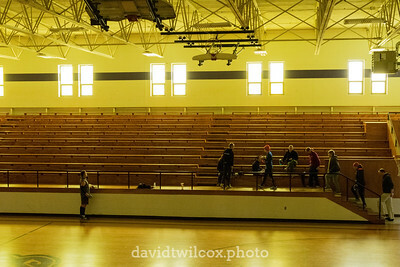 Runners file into the Sarcoxie High School gym minutes before the start of the Run With The Wind 25K race to hear the final pre-race briefing. 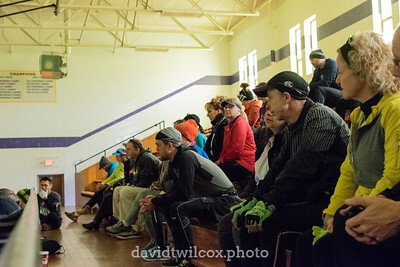 Runners get the final race instructions from the race director for the Run With The Wind 25K in the Sarcoxie High School gym. 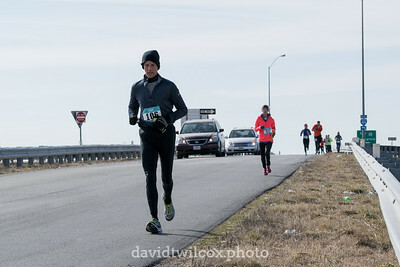 The lead runner at the Run With The Wind 25K makes his way uphill before crossing the bridge over I-44 at the halfway point of the race. 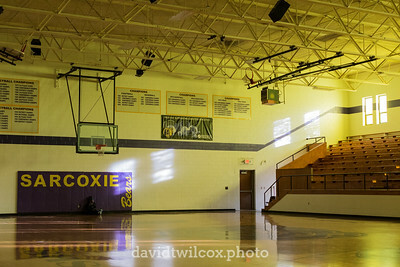 The direction of the race between Sarcoxie and Carthage, Missouri, is set each year only two days before the event to ensure the prevailing winds are at the runners' backs. Runners make their way across the overpass over I-44 at the halfway mark of the Run With The Wind 25K.